Figure 14. Hinged Roof Support Strut Assemblies. Figure 16. Sidewall Support Braces. 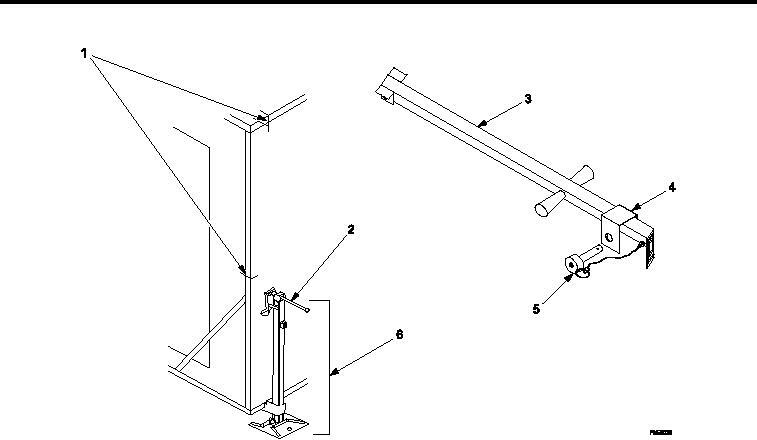 Use support strut assemblies (Figure 15, Item 3) to lower hinged roof to rest on hinged end walls and sidewall. 10. Remove lock pins (Figure 15, Item 5) from support strut assemblies (Figure 15, Item 3). hinged roof with lock pins (Figure 15, Item 5). roof and hinged sidewall are properly aligned.